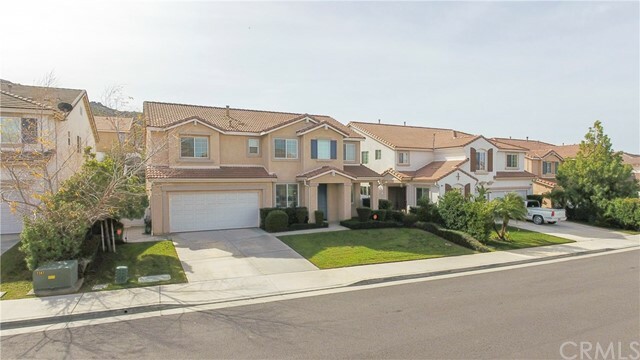 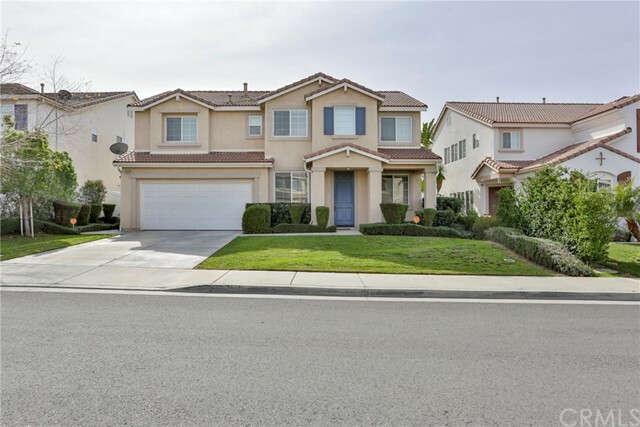 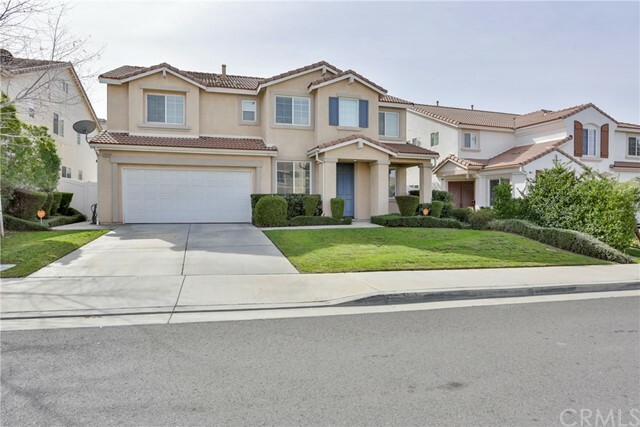 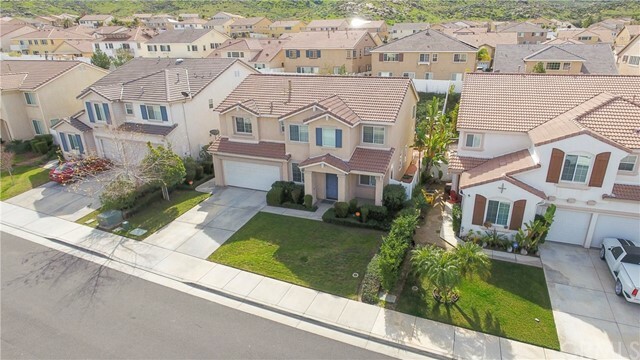 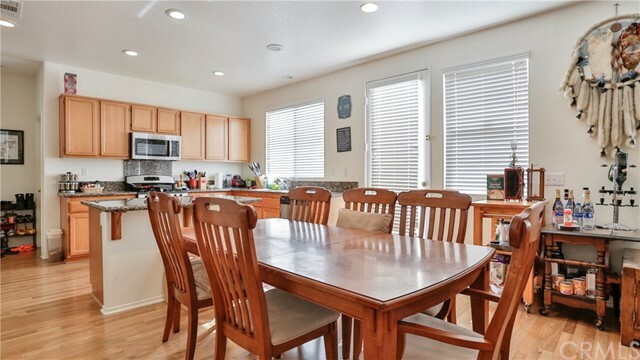 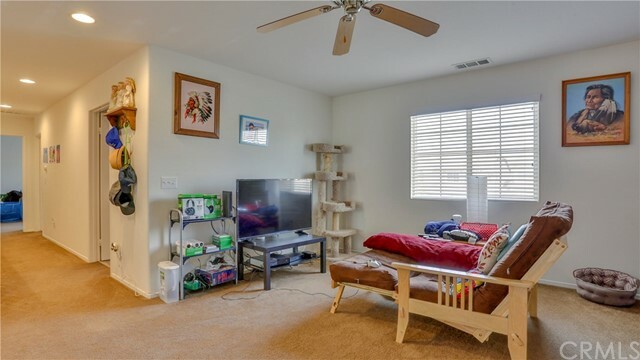 Charming 2 story 5 bedroom/3 bath home, in the center of Rancho Belago with 2674 square feet open floor plan. 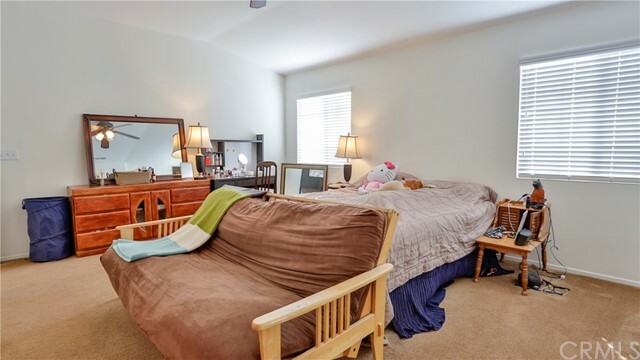 Convenient bedroom located downstairs. 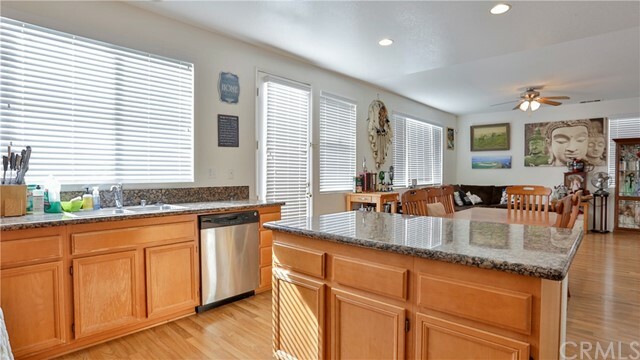 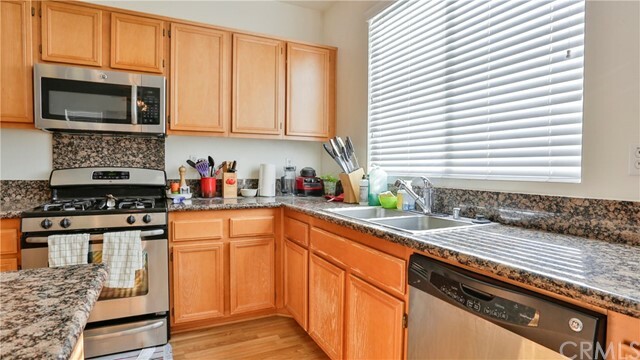 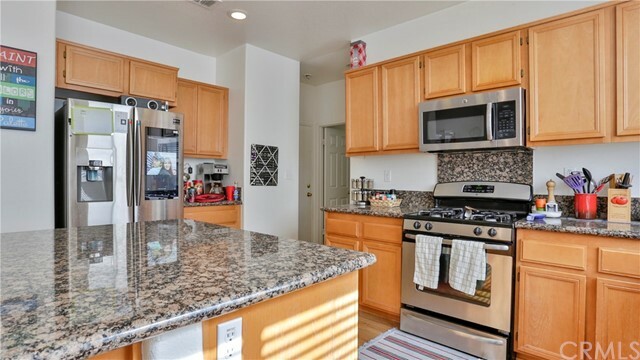 Elegant kitchen includes, a large island with granite counter tops, built-in stainless steel appliances, and plenty of hardwood cabinets for storage. 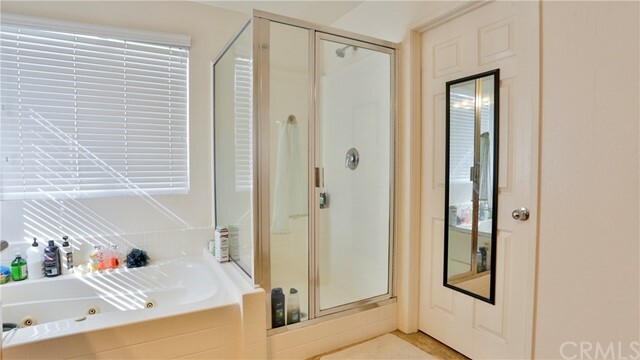 Upper living space offers a large Master suite with walk-in closet and private bathroom with travertine tile flooring and separate jacuzzi tub and shower. 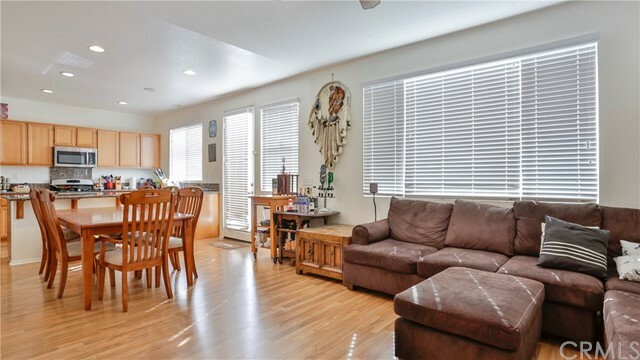 3 spacious bedrooms with additional living space in your loft provide comfort and privacy. 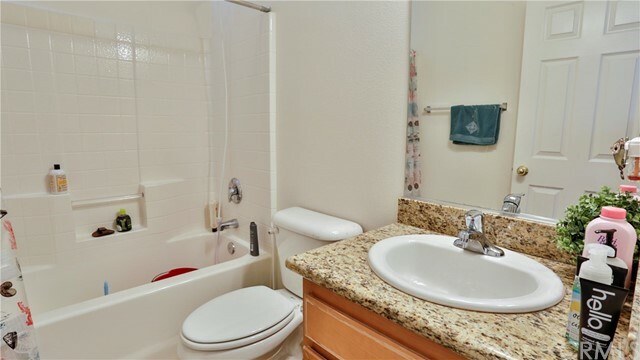 Upstairs laundry with sink provides easy access for usage. 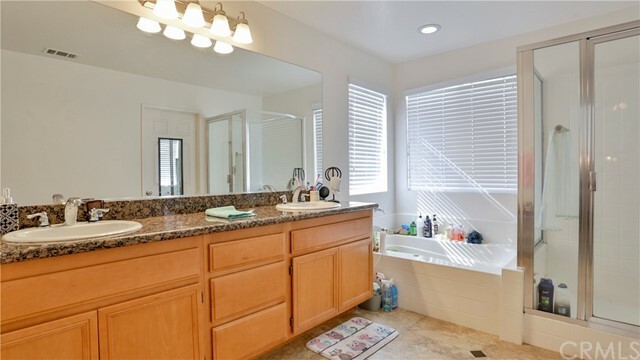 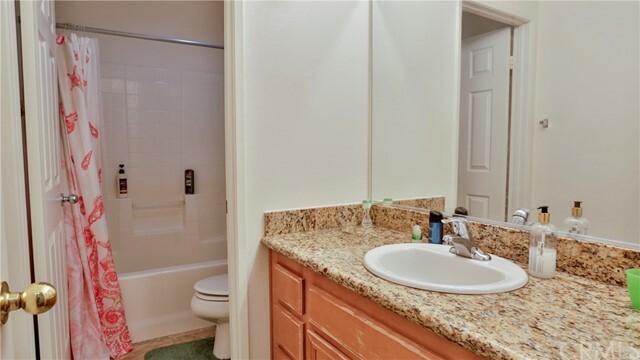 Full bath also in upper level. 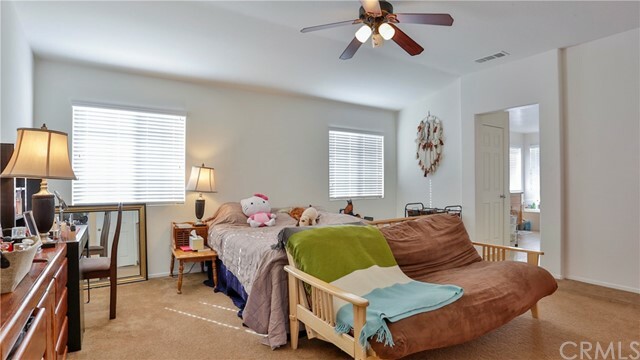 Ceiling fans are installed in all rooms, and home is pre-wired for alarm. 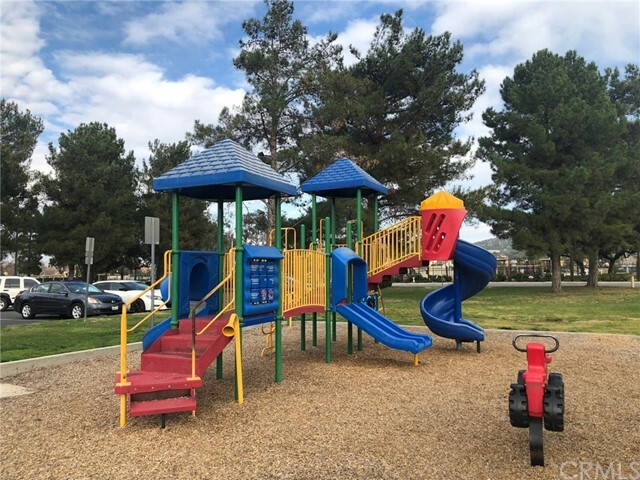 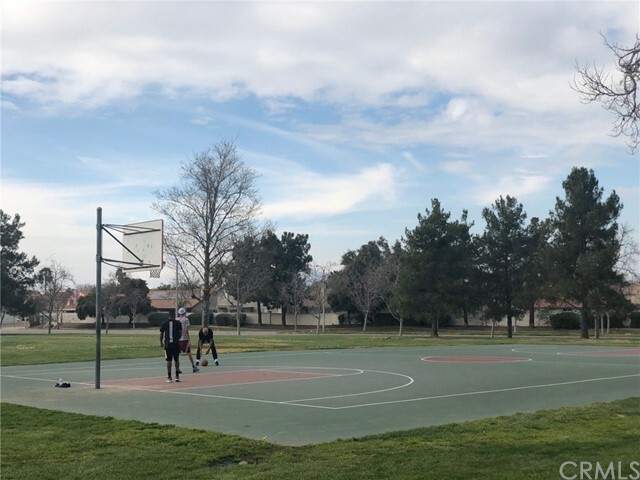 HOA offers clubhouse, gym, parks, and lake for a variety of activities. 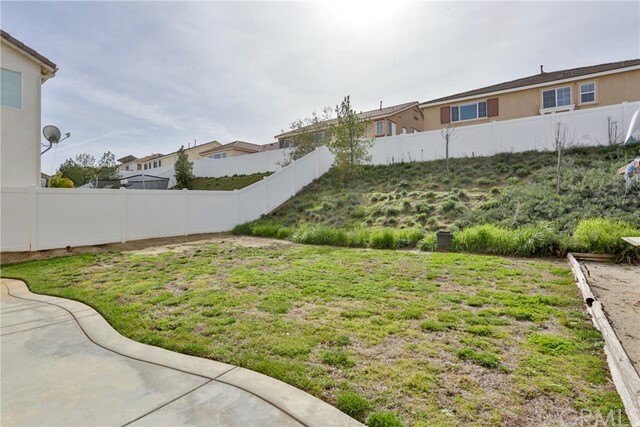 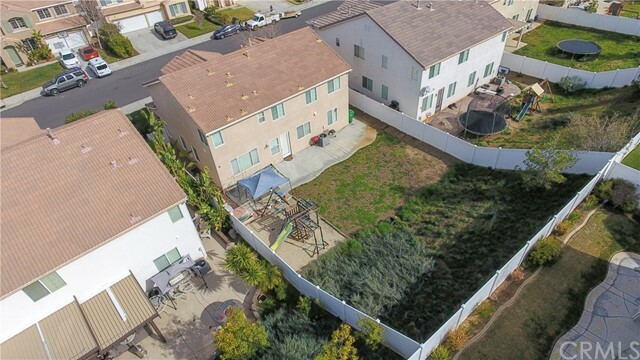 This home has energy efficient features provided by Moreno Valley Electric that enables the homeowner to reap savings through reduced electric bills over the life of installed NEST equipment! 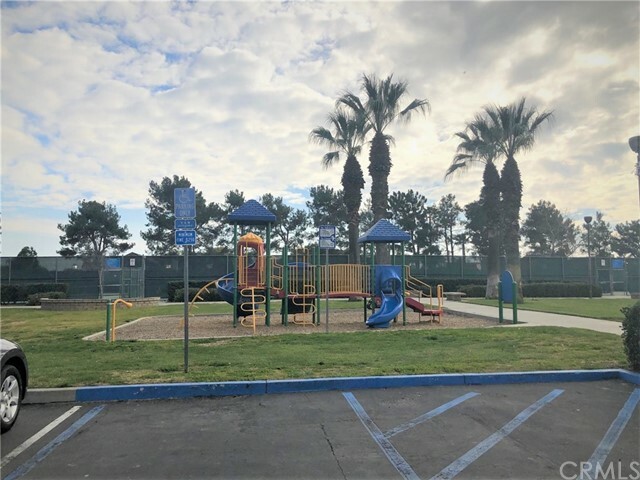 Great location providing easy freeway access, shopping and restaurants, parks, schools, and hospitals --- Riverside University Health Medical Center and Kaiser Permanente.